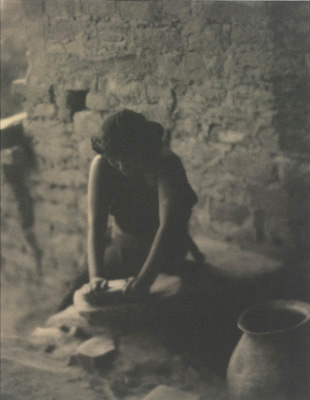 Although Laura Gilpin started photographing in her early teens when she decided to pursue photography as her life-long endeavor she asked advice from her mentor, Gertrude Käsebier, a renowned pictorialist photographer, as to where she could study. Käsebier recommended the Clarence White School of Photography in New York City. With this recommendation Gilpin headed to New York in l9l6 to study with Clarence H. White. 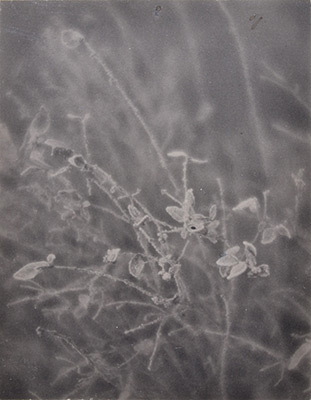 As Martha A. Sandweiss, Laura Gilpin’s biographer, states in her quote below, “The Pictorialists placed great emphasis on the evocation of mood rather than on detail, and favored the soft, delicate grays and texture of platinum printing papers”. 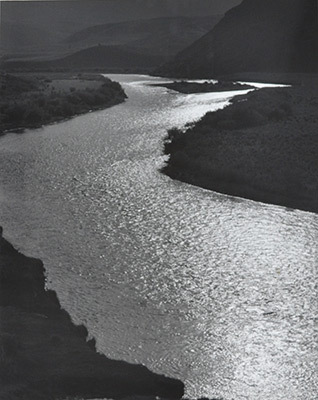 Returning to Colorado Springs in l9l8, Gilpin worked in platinum with large format cameras. 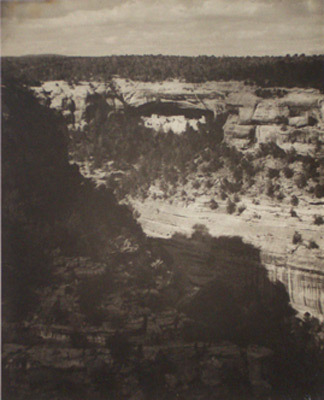 Her prints of Mesa Verde and her surroundings in Colorado Springs suggest as much about the emotion she felt upon viewing the scene as about the subject itself. 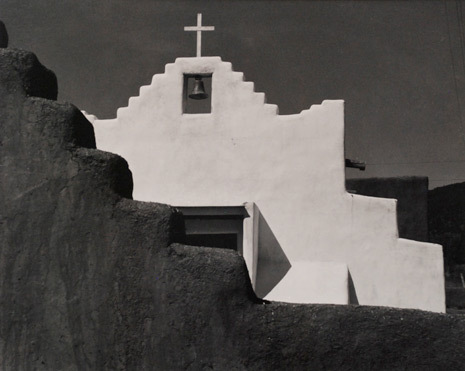 Laura Gilpin became increasingly interested in the history and archaeology of the region and she began photographing the Pueblo Indians of New Mexico and their ancient ruins. 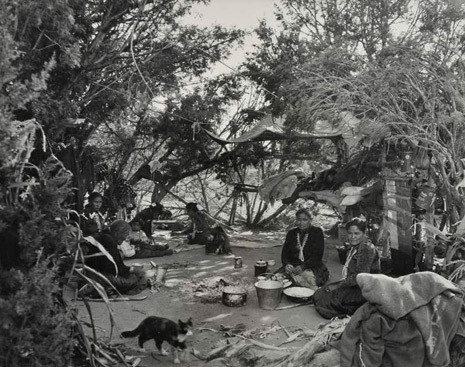 Gilpin’s long-term involvement with the Navajo began in 1930 when she and her companion, Elizabeth Forster, ran out of gasoline in a remote section of the Navajo reservation. 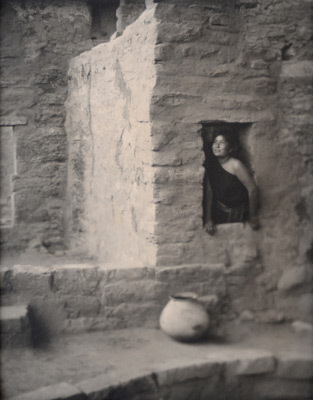 Gilpin’s early Navajo pictures differed markedly from her work with the Pueblos. While the Pueblo work depicted her Indian subjects as generalized types, these pictures portrayed particular individuals. 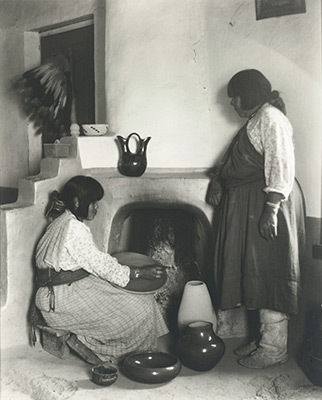 After World War II, she settled in Santa Fe, a center for artists as well as many experts in southwestern anthropology. 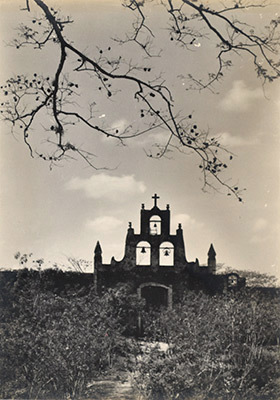 Temples In The Yucatan: A Camera Chronicle of Chichén Itzá, was published in 1948 and in l949 The Rio Grande: River of Destiny, was published, a much more ambitious book that established her importance as a cultural geographer and reiterated the significance of her landscape work. 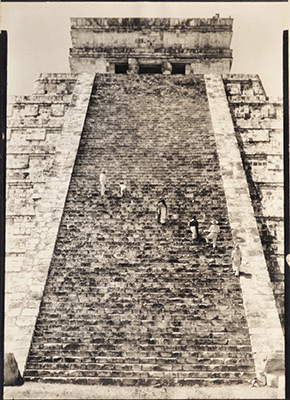 We have beautiful prints from both series, including the Steps of the Castillo, Chichén Itzá, Yucatan, 1932 and The Rio Grande Before the Storm, 1945. 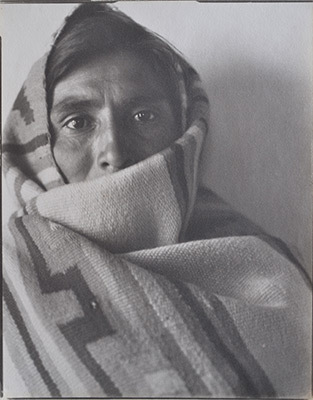 Gilpin went back to the Navajo Reservation with Elizabeth Forster in 1950 and resolved to do a book on Navajo life. She re-photographed many of the people that she had photographed years before and decided that tradition was the key to Navajo life. She organized her book into four sections to correspond to the importance of the number four in the Navajo religion and devoted particular attention to those who preserve the old ways. With much satisfaction she claimed that The Enduring Navaho (l968) was done entirely from a Navajo point of view. We have works on display from all of Laura Gilpin’s key publications. 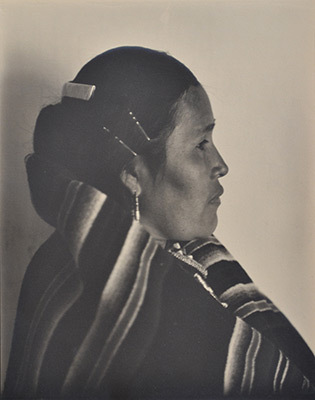 Gilpin’s early southwestern pictures and portrait studies reflect the influence of her training. 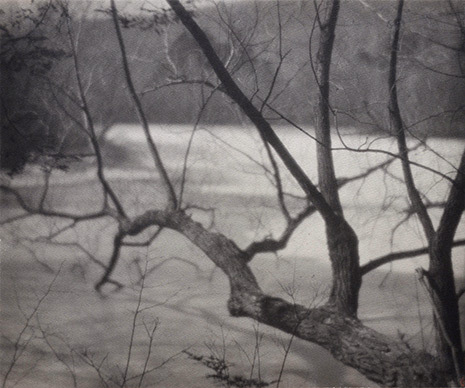 The pictorialists placed greater emphasis on the evocation of mood than on detail, and favored the soft, delicate grays of platinum printing papers. 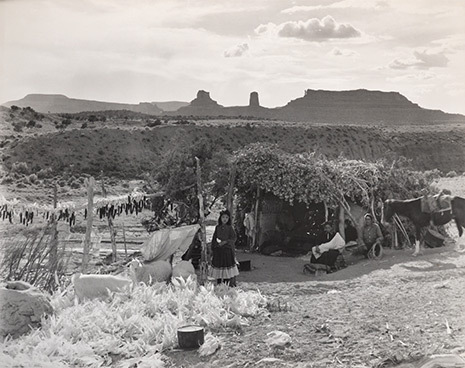 Thus Gilpin’s soft-focus platinum prints of Mesa Verde and her sweeping landscapes of the Colorado Prairies suggest as much about the emotion she felt upon viewing the scene as about the subject itself. A remarkable consistency of vision links her sixty years of work. Whether printed on platinum or silver paper, her pictures are characteristically infused with a soft, luminous light, and composed with a simple, classical elegance.